Today I have a little treat for you in the form of a giveaway sponsored by a company called Gnat. Gnat are a clothing company that offer quality patterned formal dress shirts that guarantee you to be the center of attention for any occasion. You can check our their designs here: http://www.gnat.co.uk/ and there are options for both men and women. They have kindly provided a mens Gnat Dress Shirt Classic Collar worth £59.99 for one of you lucky lot to win. Every shirt is completely unique and no two are the same, so it's a chance to own a really original standout piece for your wardrobe. To enter just fill in the below Rafflecopter form, you have until 12am on the 8th August so go go go! I think their Gnat Casual Fun Shirt looks fab! I love bright and unique clothing! I love the casual fun shirt, it's a bit crazy looking but I think my hubby could pull it off! 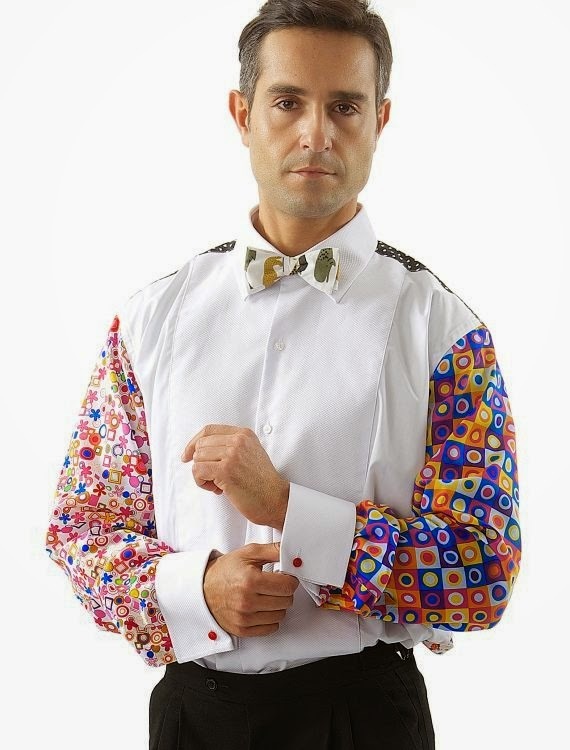 The formal shirt looks perfect for fancy dress at festivals.